*Must present offer at time of write-up. Not to be combined with other offers. Valid at participating dealerships only. Discount excludes taxes. Not redeemable for advertised specials, previous purchases, or cash. See our dealership for complete details. Must present offer at time of write-up. Includes up to 5 quarts of oil and filter. Pricing applies for most models; some models are not eligible. Pricing includes parts and labor. Price does not include taxes. May not be combined with other offers. Limit one per customer. Valid at participating Volkswagen dealership only. See participating dealer for complete details. Following your regular maintenance schedule is the best thing for your Volkswagen. 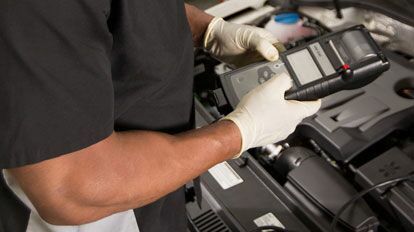 Our VW Certified Techs will inspect, adjust, and replace parts according to manufacturer recommended specifications, time intervals, and mileage intervals. Includes labor, Genuine VW Parts, and fluids. Value of coupon not to exceed $150. Must present offer at time of write-up. Price includes labor, Genuine VW Parts, and fluids. Not to be combined with other offers. Valid at this participating dealership only. Discount applied based on purchase amount before taxes. Not redeemable for advertised specials, previous purchases, or cash. See our dealership for complete details.